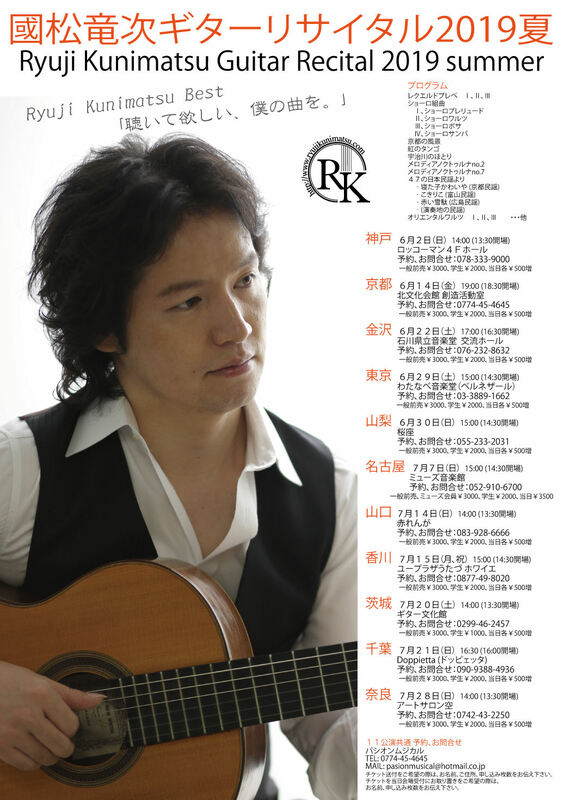 On this page, it shows the concert information of Ryuji Kunimatsu. I will do my best as my concert would supply the graceful time and a stimulus and energy in your life. Please come at the nearest hall.